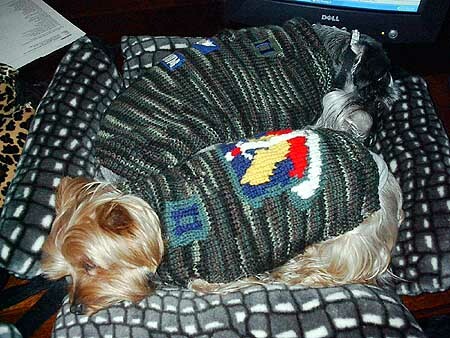 Dog Sweaters. 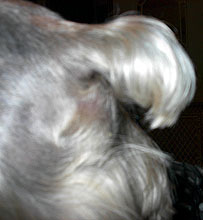 Click picture above. 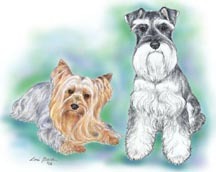 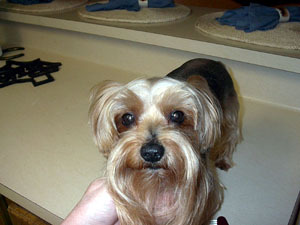 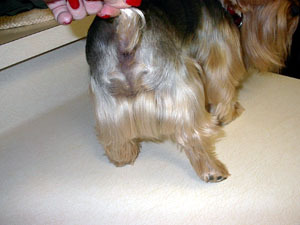 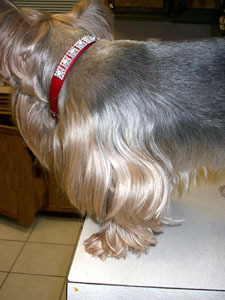 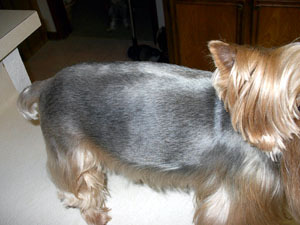 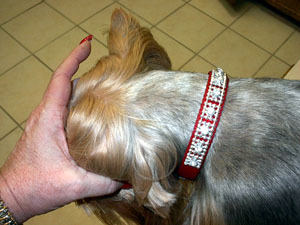 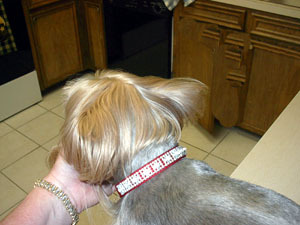 The SchorkieCut is a modified schnauzer cut that still allows the yorkie to have the cute and stylish yorkie look. 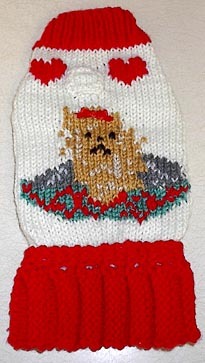 This is something that I have come up with for Teddy Bear that works for us. 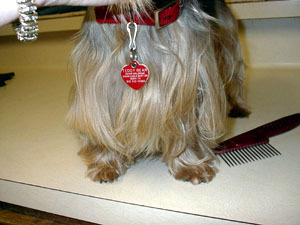 You may copy and print out pictures to take to your groomer or to try it yourself. 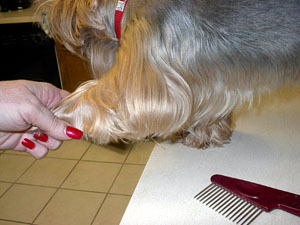 And the head hair will fall over and cover it. 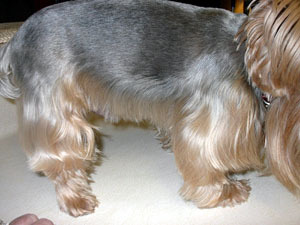 Chest left long in "yorkie style"
Furnishings angled into front legs. 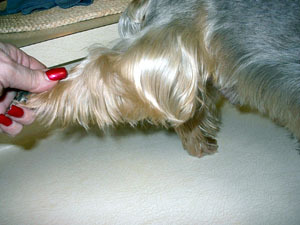 I hold his leg out and cut in this position.